Loctite ® 592™ PST ® Thread Sealant locks and seals threaded fittings. Parts may be repositioned up to 24 hours after application. LOCTITE THREADLOCKER 592 (50ML) PST PIPE SEALANT is rated 5.0 out of 5 by 1. 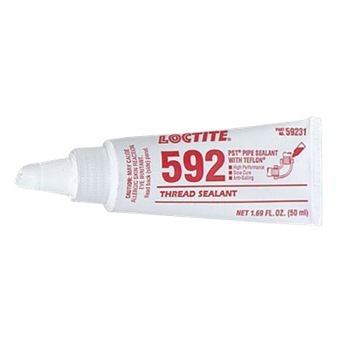 Loctite ® 592™ PST ® Thread Sealant locks and seals threaded fittings. Parts may be repositioned up to 24 hours after application.